Timecard Lite is our timecard GPS application without the time and attendance reports. Companies that are looking for just strictly GPS tracking than Timecard Lite would be the product of choice. Timecard Lite offers GPS Tracking information such as location, speed and mileage. In addition, GPS Smart Fence Technology, Bread Crumb Trails, Speed Triggers are also available with Timecard Lite. 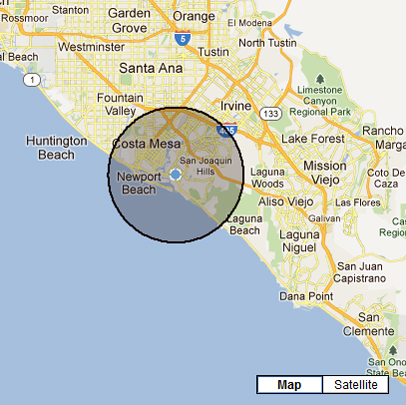 Timecard Lite's GPS Tracking is available on Standard Cell Phones, BlackBerry, Sonim, Apple iOS, Androids and Tablets. Please contact our Customer Support Department and one of our agents will be glad to assist you with any questions you may have.  Timecard Lite offers both satellite and terrestrial mapping.  GPS Data from a wireless device is sent to satellites every 300 feet, 45 degree angle or every 60 seconds, whichever comes first when in motion.  GPS Data is stored in the firmware of handsets (Store Forward). This means, if there is a loss of satellite communication or poor network connection, no data will be lost. GPS Data will be stored on handset and forwarded when connection re-establishes between handset and satellites or land towers. 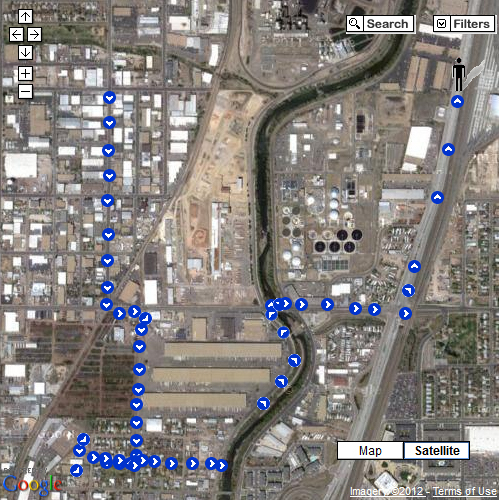  GPS Data is stored in Econz Wireless data base for a period of 6 months in a secured code 3 location. 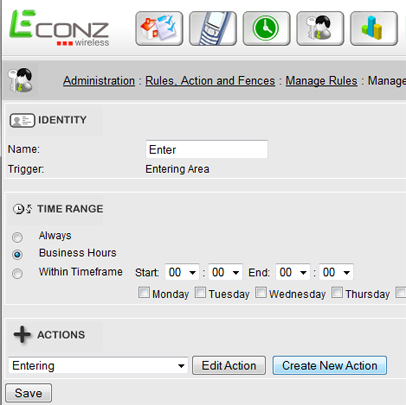 Information can be accessed 24 hours a day, 7 days a week, through Econz Wireless's web portal.  Breadcrumb Trails – GPS data is recorded and saved in a breadcrumb trail which will be left on map with information such as speed and direction.  Speed Trigger – is a notification sent to administrator and/or employee if a rule is broken. Example is if management does not want company vehicles traveling over 70 mph an email and/or text message could be sent to driver to slow down and management that a speed rule was broken by that individual.  Idle time Trigger- is if the mobile device does not move over a certain period of time a notification could be sent to device stating to call the office. In addition, an email or text message could be sent to administrators notify them of idle time.  Smart Fence – A GPS perimeter can be put around certain geographical locations. This perimeter can notify management of a device entering and exiting a specific location. This Smart Fence can be as small as a building or large as a state or region.  Mileage is captured is on a device and generated on a report in Econz Wireless's web portal and can be downloaded using a CSV file. Econz Wireless can also do custom builds specific to your Company needs. Please contact our offices to discuss further. If you would like to view our Public SOAP API's please click the link. Timecard Lite pricing can be found on our Global Pricing page along with other Econz Wireless products.